Have you ever had a recipe that you wanted to use for a while but was just waiting for that perfect moment? 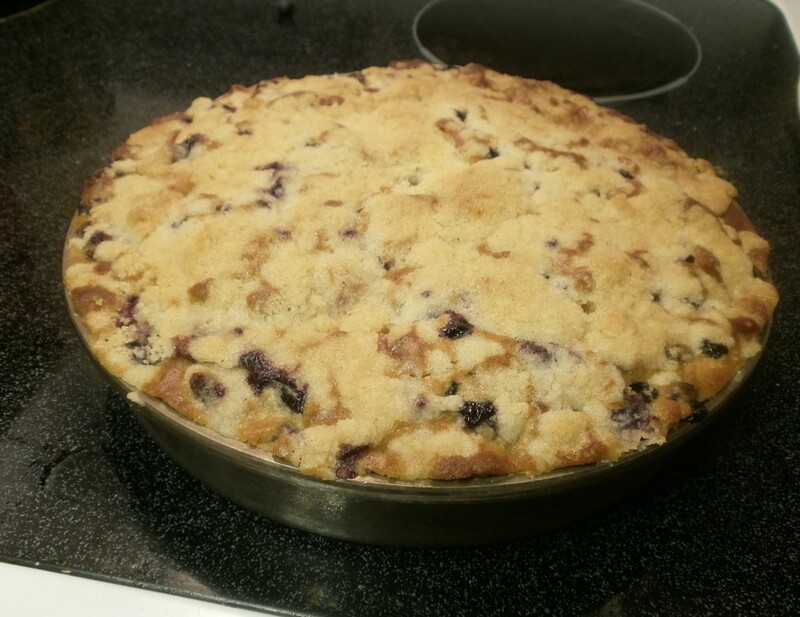 That was the case last night when I gave Alton Brown’s Blueberry Buckle recipe a try. In case you don’t know what a buckle is, it’s an early version of a coffeecake. It’s a yellow cake with fruit baked in (15 ounces of fruit in this recipe!) and topped off with a streusel topping. I love streusel toppings like the one I use when I make peach pie. Below you will find my notes from this recipe. To view the full recipe, visit Food Network’s website. 1. I used fresh blueberries that I picked myself. You can’t get any better than that. If you are going to go the frozen route, trying wild blueberries. The wild ones pack more flavor. 2. Alton weighs the flour in this recipe. I highly recommend using a kitchen scale . Not only do you get a more accuarte and consistent measurement, I would much rather scoop flour into a bowl until I have the right amount then try to find all the right sized measuring cups I need. Cake flour is the flour of choice here. It makes the cake fill light not chewy. I use cake flour when I make my fried fish batter, so it’s something I always have on hand. 3. Alton’s recipe uses ground ginger. This brought a nice spice to the party, that didn’t overwhelm the blueberries but enhanced their flavor. 4. Alton used a 9 x 9 inch baking pan. I went with a 9-inch round baking pan . Then sliced the buckle up like I would a pie. 5. In my oven (which is brand new!) it took about 45 minutes for it to finish cooking. A wonderful recipe that was well worth the wait to try with blueberries that I got from my own labor. The amount of blueberries inside was perfect. 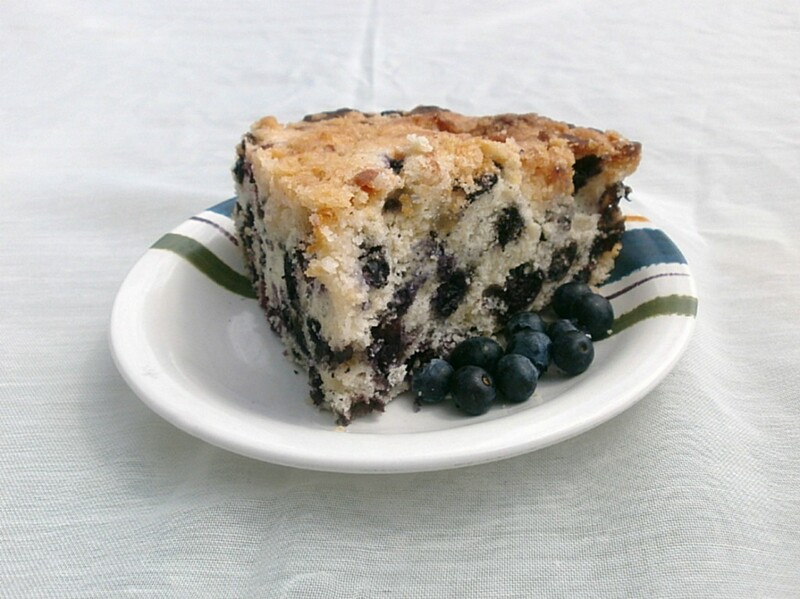 I have had buckles that where you had to search for the flavor of blueberries, that was far from the case in this dessert. The only thing I might do differently is to increase the cake to the streusel topping ratio, so there is more streusel to get my teeth into. Previous Post: « Are Brown Eggs Any Different Than White Eggs?